Astronauts for the first Apollo Mission (L-R) Roger B. Chaffee, Edward H. White and Virgil I. Grissom practice for the mission in the Apollo Mission Simulator. National Aeronautics and Space Administration - NASA Photo. 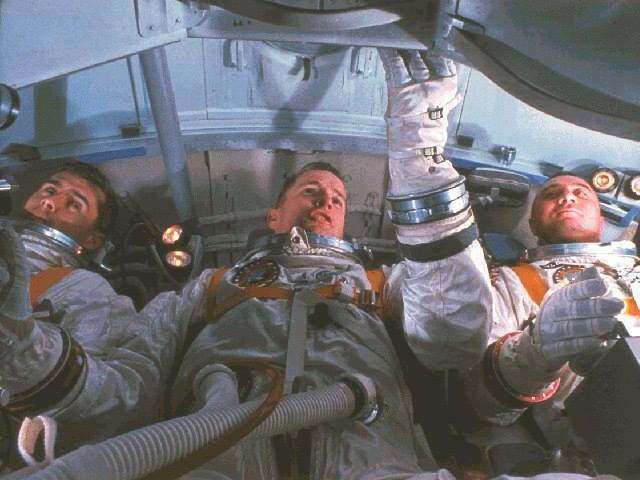 Astronauts for the first Apollo Mission (L-R) Roger B. Chaffee, Edward H. White and Virgil I. Grissom practice for the mission in the Apollo Mission Simulator. National Aeronautics and Space Administration – NASA Photo. Today, Milaviate remembers the men of Apollo 1 who lost their lives in a fire in the command module during a training exercise in 1967. Military aviation and manned space exploration are tied together very closely as all astronauts up till the Space Shuttle program were drawn from the ranks of elite military aviators, some remaining in service while assigned to their duties at NASA. Service as as a fighter/test pilot for the Air Force and Navy was the first requirement that needed to be fulfilled for any prospective astronaut, as it had been determined that these men who had served in such a role truly had “the right stuff” for the job. It was the bravery and sacrifice of these men that allowed humans to break the bonds of Earth and truly go where no man had gone before. On the 27th of January, 1967, the crew slated to fly on Apollo 1 were conducting a training cycle prior to their February launch date. To do so, they were locked into their capsule in their spacesuits and the cabin was pressurized, simulating actual launch conditions. At about 6:30 in the evening, a flash fire broke out and spread rapidly due to the oxygen-saturated/high-pressure environment. Within 15 seconds, the hull of the module had ruptured and around 2 seconds subsequently, the crew had perished in the conflagration. 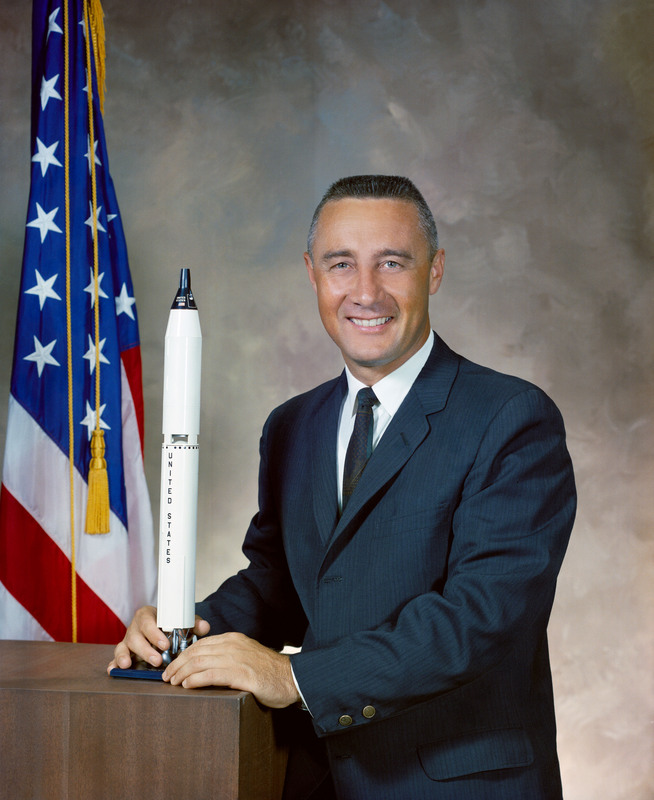 – Lt. Col. Virgil “Gus” Grissom, born April 3 1926, was the assigned command pilot for Apollo 1. Gus served as a fighter pilot in the United States Air Force, flying over 100 combat missions during the Korean War and earning the Distinguished Flying Cross before serving as a flight instructor and then a test pilot. He was ordered to Project Mercury as one of the Mercury Seven and flew into space on Mercury-Redstone 4 and Gemini 3. Edward H. White II. Official NASA Portrait. 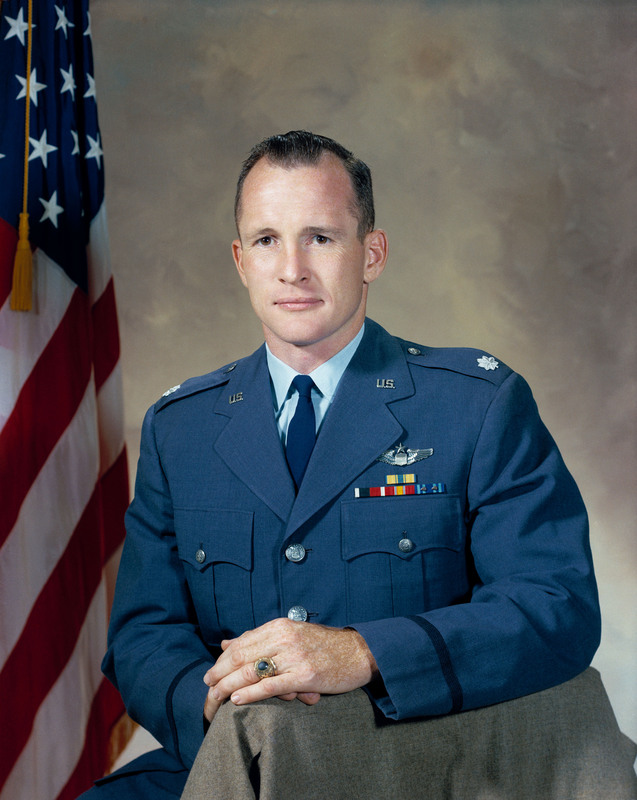 – Lt. Col. Edward “Ed” White, born November 14 1930, was the assigned senior pilot for Apollo 1. Ed served as a fighter pilot and then a test pilot with the United States Air Force. He was accepted to NASA’s Astronaut Group 2, flying into space on Gemini 4. 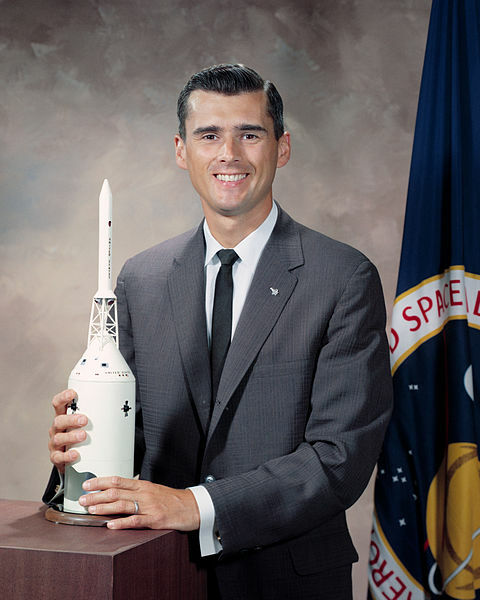 Roger B. Chaffee. Official NASA Portrait. – LCDR Roger Bruce Chaffee, born February 15 1935, was the assigned pilot for Apollo 1. Roger served as a naval aviator in the United States Navy after earning his wings of gold in 1959. He was recognized for his service as a Navy pilot during the Cuban Missile Crisis before he was accepted to NASA’s Astronaut Group 3 in 1963, one of 14 chosen out of a total 1800 initial applicants. If we die we want people to accept it. We are in a risky business, and we hope that if anything happens to us, it will not delay the program. The conquest of space is worth the risk of life.